and your justice as the noonday. over the man who carries out evil devices! 8 Refrain from anger, and forsake wrath! Fret not yourself; it tends only to evil. but those who wait for the Lord shall inherit the land. 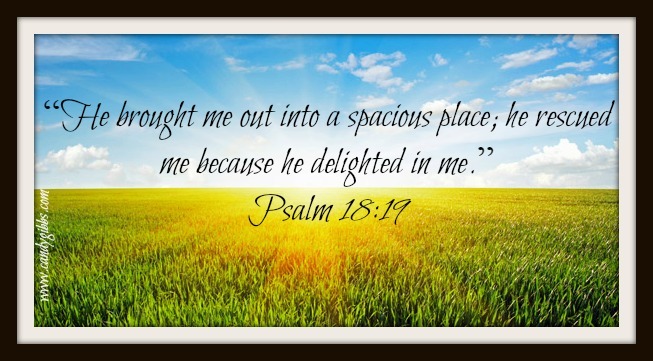 though you look carefully at his place, he will not be there. We all want to understand the purpose that God has for our lives. I don’t think this is age specific. Many people live their entire life not feeling like they ever discover what that purpose is. I took a moment to jot down some of the specific verbs found in Psalm 37: “trust”, “do”, “delight”, “commit”, “be (still)”, “refrain”, “inherit”… do any of those verbs sound exhausting? Do they drain you of energy, keep you up worrying at night? The work side of this falls firmly at the feet of the Father. We are simply supposed to trust Him, do what He says, delight in Him, commit, be, refrain and inherit; and verse 5 tells us, “He will act.” Now, that sounds quite wonderful to me. Ultimately, the reason for which we exist is to bring Him glory. Purpose isn’t as much a destination as it is a process. When we view purpose correctly, it gives us the strength to weather storms, to endure pain and to hope in every season. Because it’s no longer just a proverbial place we’ll end up some day, but is a daily positioning of the heart, fully yielded to Him, present in the moment, finding Him and bringing Him glory in everything we do. We will wear ourselves out trying to “find” our purpose, but when we seek Him first and find Him, the rest will be added and He acts on our behalf! Buy Candy’s book Rescue here! You can swim confidently into the murky waters of parenting teens! Rescue offers wisdom, encouragement, and practical applications. 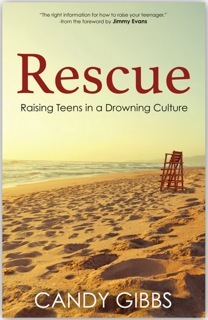 Working with a group of young “Lifeguards” throughout the book, Candy Gibbs gives struggling parents the life preservers they need to rescue teens from a drowning culture. With Biblical insights and Candy’s own creative techniques, Rescue is the “Noah’s Ark” of parenting books, ensuring that today’s teens will carry on a legacy of godliness to generations to come. Find out more!